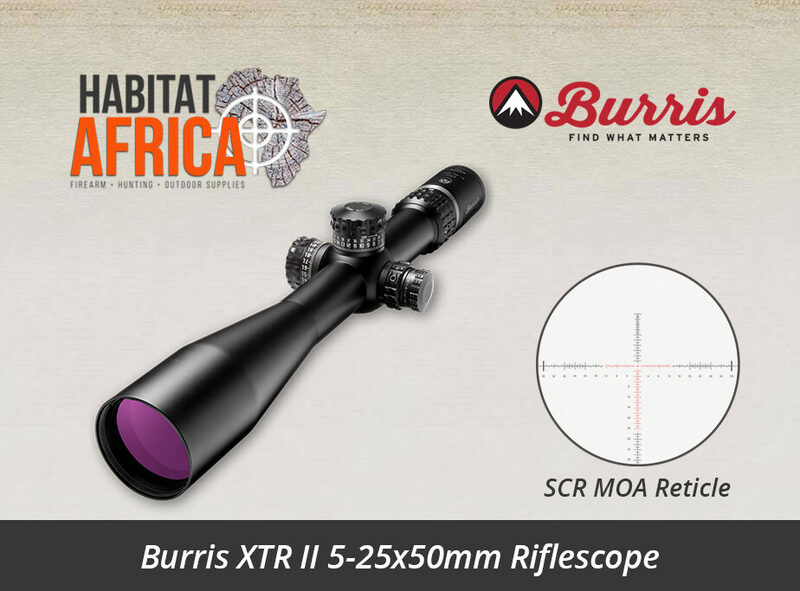 The Burris XTR II 5-25x50mm Riflescope with SCR MOA Reticle is a serious, state-of-the-art piece of technology and was designed for serious technical, long range precision rifle shooters – both competitive and tactical. 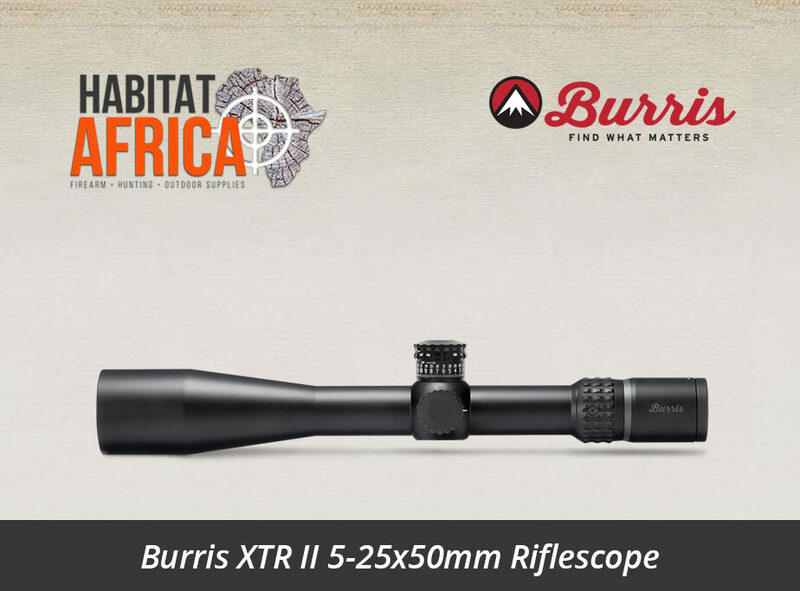 The robust design of the Burris XTR II features a 5x zoom system and 25% thicker tube construction than the original XTR Riflescope. 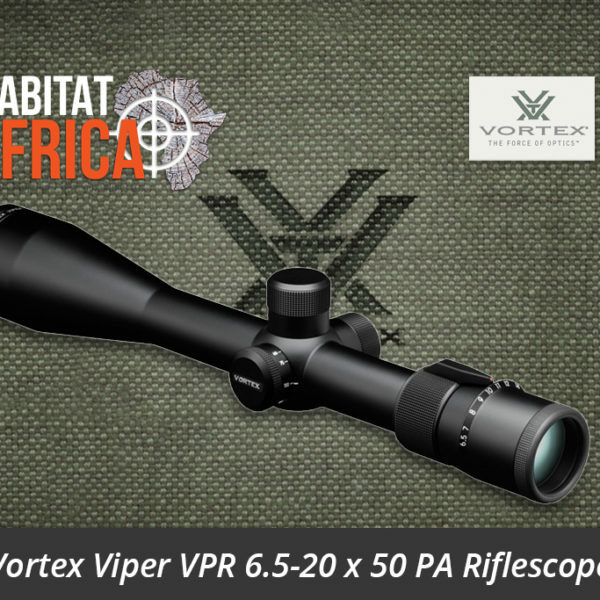 Some of the top competition shooters in South Africa tested and reviewed the XTR II, describing it as one of the very best rifle scopes in its price class, outperforming products with much higher price tags. The high-performance optics offer Hi-Lume multi-coated lenses. The combination of the 50mm Objective lens and 34mm tube optimize target resolution, contrast, and low-light performance. 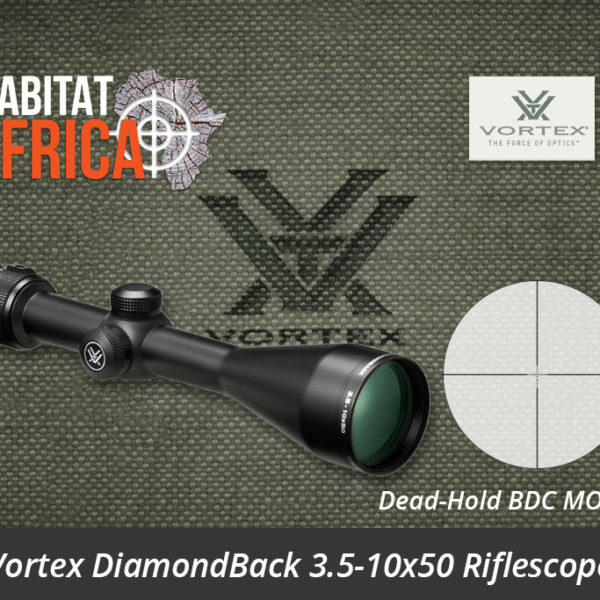 The XTR II features the SCR MOA illuminated front focal plane special competition reticle for precision competition use. 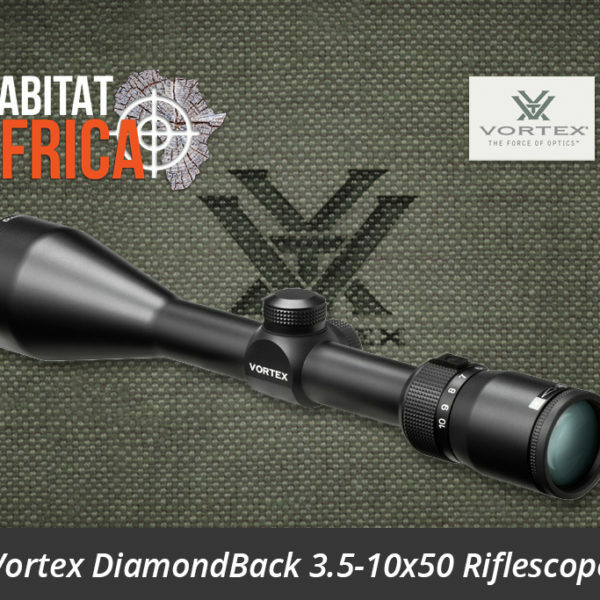 Although the XTR II is a new model riflescope and the SCR (Special Competition Reticle) Illuminated reticle was designed primarily for competitive use, it has a “floating” centre aiming point that will greatly assist with target acquisition and will without doubt be a great scope for plains game hunting in the Kalahari or Karoo. 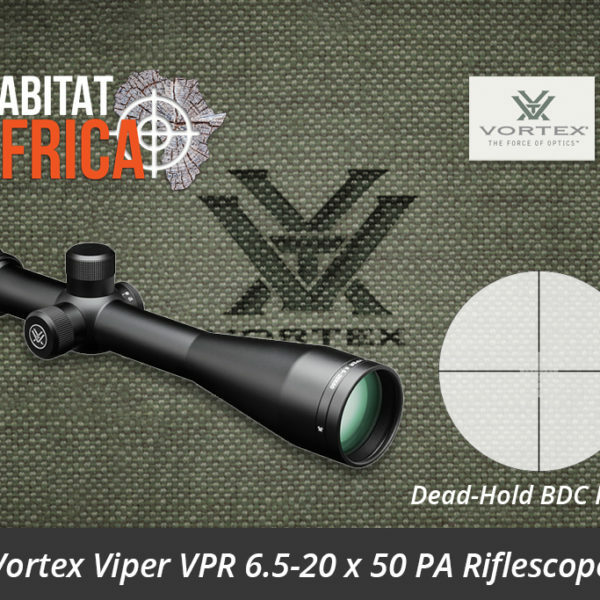 The quality optics and illuminated reticle will also work great in low light conditions for varmint hunters. All hand-fitted internal assemblies are triple spring tensioned for absolute shock proofing, even under severe recoil as well as vibration resistant. 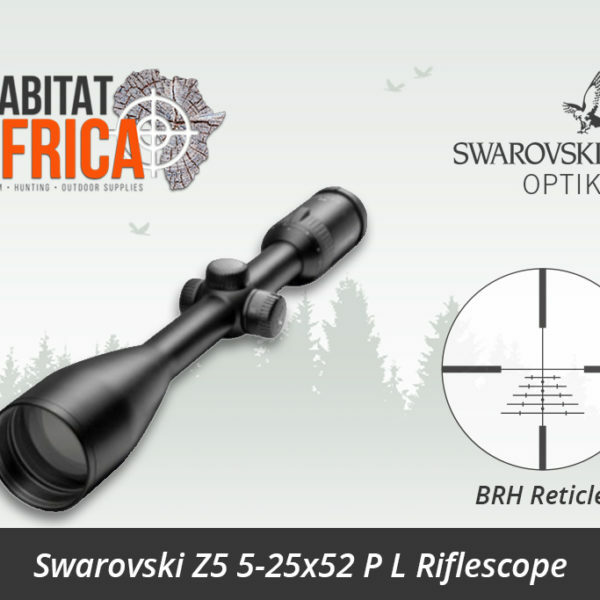 The XTR II riflescope out delivers its modest price tag and will most certainly take up its place in the competition arena in the future as an exceptional value for money rifle scope. It is also protected forever by the Burris Forever Warranty. 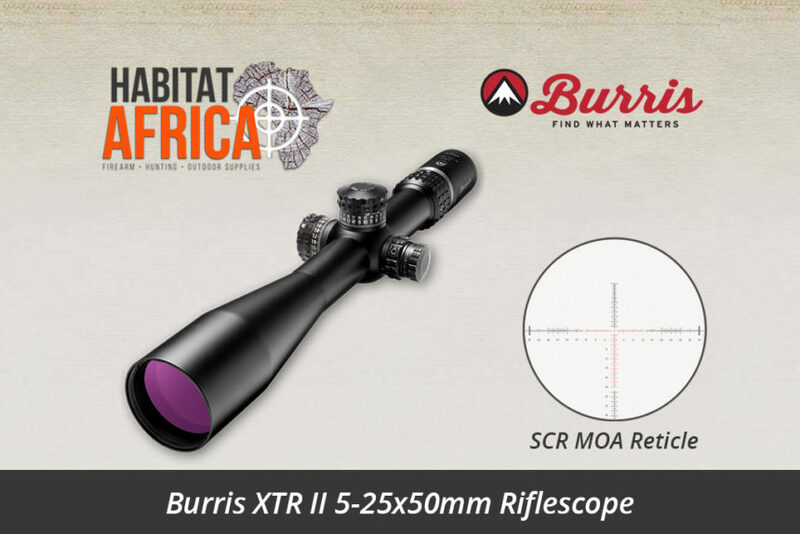 The Burris SCR MOA Reticle increases precision for long-range competition. 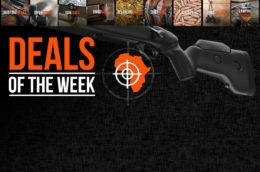 Its extended illuminated centre area lets you confidently engage targets in low light and shadows. 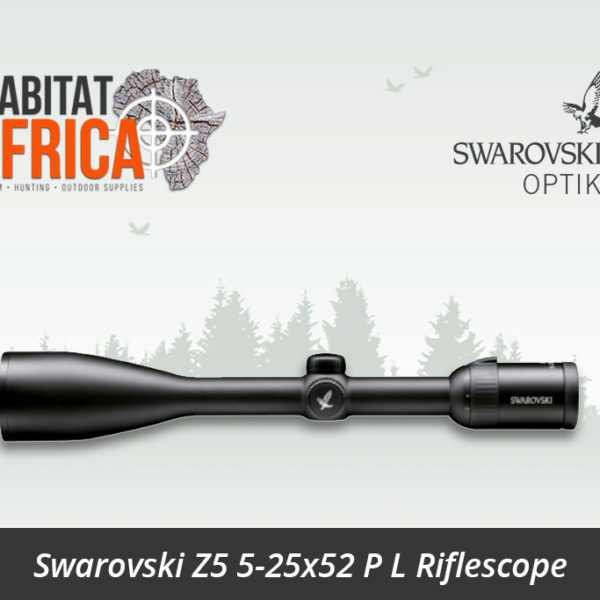 Features the SCR™ MOA illuminated front focal plane special competition reticle for precision competition use. Features XT-100 click adjustment knob, with 100 clicks per rotation and can take most tactical calibers out past 1,000 yards in a single turn; knob provides easier calculations, faster adjustments, and less chance of getting lost on the dial. Vertical crosshair offers 1-MOA marks for distance holdover. An extended illumination area lets you engage targets at long distances even in low light. 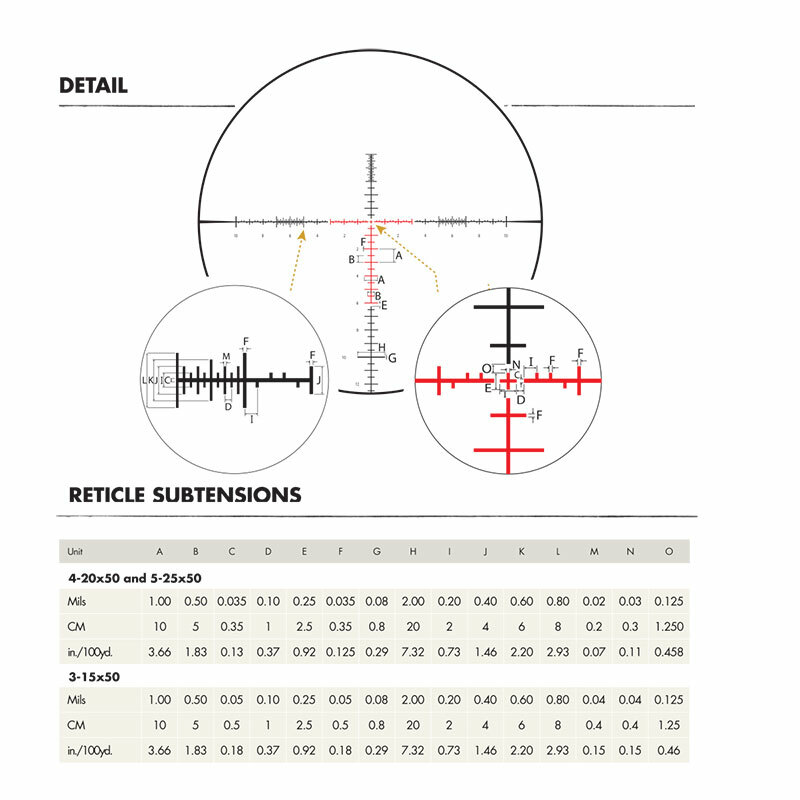 1/4-MOA ranging brackets at the top, left extreme, and right extreme of the crosshair, for precise ranging.